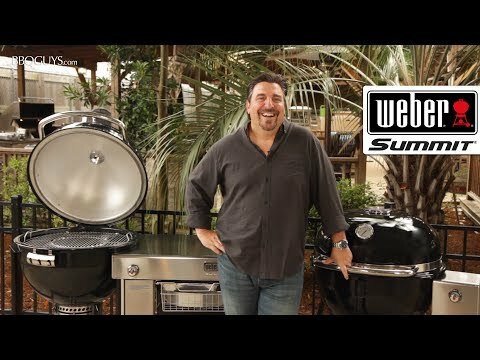 Taking the classic design of the Weber kettle grill and making it bigger and bolder in every way, the Weber Grilling Center is designed to make backyard grilling and smoking more easy and convenient. Made of premium-grade U. S. Steel coated with porcelain enamel inside and out, the Summit Charcoal grill features a double walled bowl and lid. Air is trapped between the double walls and acts as an insulator, retaining heat and keeping the temperature consistent for up to 12 hours on a single load of charcoal. In addition, the air insulated design allows the grill to respond to temperature adjustments much faster than grills made from ceramic. The 24-inch stainless steel cooking grate offers 452 square inches of cooking space, so you can cook for the whole family easily. The Summit Charcoal grill also features the Gourmet BBQ System hinged cooking grate with a 12-inch insert that can be replaced with other components (sold separately) such as a wok or pizza stone, allowing you to cook a wider variety of food on the grill. The Snap-Jet gas ignition system runs off a 16 ounce propane cylinder so you can start the fire with a gas flame and be ready to cook in 15 minutes. With the two position charcoal grate, you can set the grate low for smoking or high for high searing heat. For more improved cooking at low temperature, place the stainless steel hinged heat diffuser plate just above the coals. The plate deflects heat away from food, keeping the consistently low. The plate is also hinged so you can add more charcoal or wood if needed. The Summit Charcoal is designed to take the guesswork out of perfecting the airflow during cooking. Three bottom vent positions make it easy to dial in the right amount of air. Use the smoke setting to minimize the airflow, or open up the vent wide for searing with high heat. The RapidFire lid damper features a hinged design, so you can open it up for maximum airflow or adjust it side to side to dial in more precise temperatures. Although the lid is not as heavy as a ceramic kamado, the Summit Charcoal includes a heavy-duty, easy open lid hinge makes opening the lid nearly effortless. The lid also features a braided stainless steel gasket which seals the lid and the bowl, holding heat inside like a vacuum. The One-Touch cleaning system makes clean-up hassle free. As you rotate the handle, three blades in the bowl move ash through the vents and down into the removable, high-capacity aluminum ash catcher below, which is enclosed to prevent ashes from blowing away and creating a mess. The Summit Charcoal Grilling Center is equipped with a large, durable stainless steel table which provides ample space for food prep and serving. It also includes a removable Char-Bin storage container that holds up to 22 pounds of charcoal with a tight closing lid to keep moisture out. The heavy-duty steel cart features a bottom wire rack for extra storage space for grilling tools and accessories. Weber Summit charcoal grills are covered by a limited manufacturer warranty against defects in material & workmanship. The bowl and lid assembly are warranted against rust and burn through for a period of ten (10) years. The stainless steel cooking grates, One-Touch Cleaning System and plastic components are warranted for five (5) years from the date of purchase. All other components are warranted for two (2) years. Retains heat very well, and minimizes the amount of charcoal needed. I don't need to continually adjust vents, and can leave it for hours. This was my sixth Weber grill over the last 50 years and the best by far! It combines the taste of charcoal with the convenience of gas and the fact that it's also a great smoker is an added bonus. My son is now enjoying my Smokey Mountain Cooker and the gas grill that served me well for many years is now being used by the migrant workers at one of the local farms. It will serve them well, as it did me, for many more years. You knocked it out of the park with this one! Extends my grilling / smoking season! This grill rounds out my Weber family. Own and use this and a couple of 22". We both this in the fall with the expectation we could grill in the winter. Well we were very pleasantly surprised! Being able to grill in temperatures at or below zero is fantastic! Grilled a turkey for Thanksgiving at 4 above zero F was a great test! 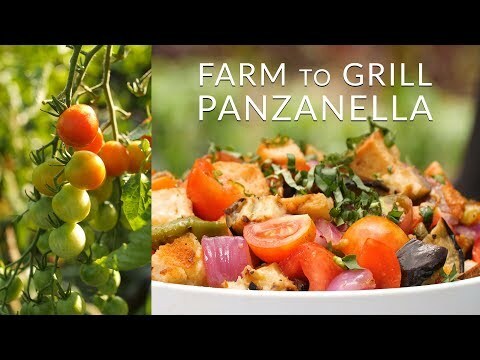 We grill out a couple of times a week and although we use more charcoal, it is worth it! Everything about this grill rocks! The only negative is the igniter system. It can be finicky and in the super cold you have to start the charcoal on the lower grate and then move it up for direct heat. This is the last grill I plan on buying and don't have one regret!!!!!!!!!!!!!!!!!!! Insulated is the way to go!! I've had this grill for about 6 months. I've grilled and smoked dozens of times on it. I have since sold my smoker. I couldn't be more pleased with how efficient charcoal usage is. The auto charcoal lighter is a nice touch as well! If your on the fence, buy one.!! Holds consistant temperature for hours. Minimum attention for long cooks. Summit Charcoal Grill delivers consistant and predictable results. Could not be happier with this purchase... thanks Weber! Have been using grill for for 1 month and have not found anything this grill can't do well. Temperature control and range are exceptional. Brisket for 15+ hours without adding coals. Wok cooking at high temperature in minutes. Ash cleaning with the flick of a lever. Summit uses less charcoal. Just close vents and unused charcoal is extinguished and ready for another cook. Very attractive and well built. I have 5 grills and smokers and this is the best. Well insulated and you can cook everything. Nice look. Junior V.
Does this unit require extensive assembly?